Since 1918 we have taken on the tough jobs, the ones nobody else could do. 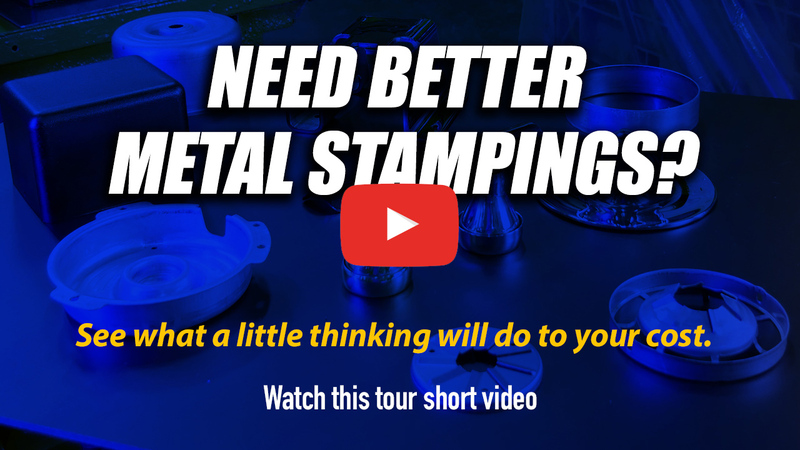 That has lead to our becoming a leading supplier of metal stampings and progressive die stampings by thinking for our customers. We're truly an "engineering-driven" company. 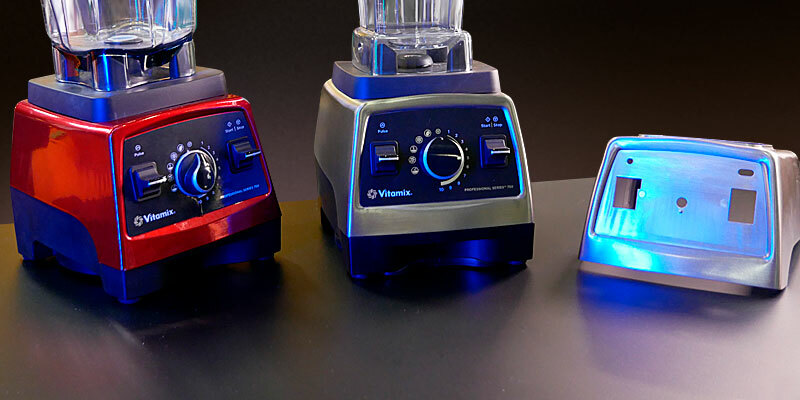 Our ability to identify your specific requirements, visualize, conceptualize a product often results in cost savings. Our goal is to add value to every job. 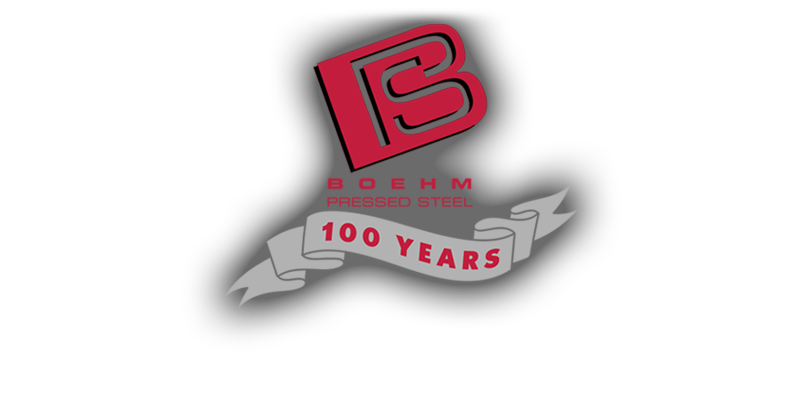 The Boehm Pressed Steel Company is situated in the southern Cleveland suburb of Valley City, and we're in our third generation and pressing into the millennium with cutting edge technology that transforms our customers' ideas into reality. 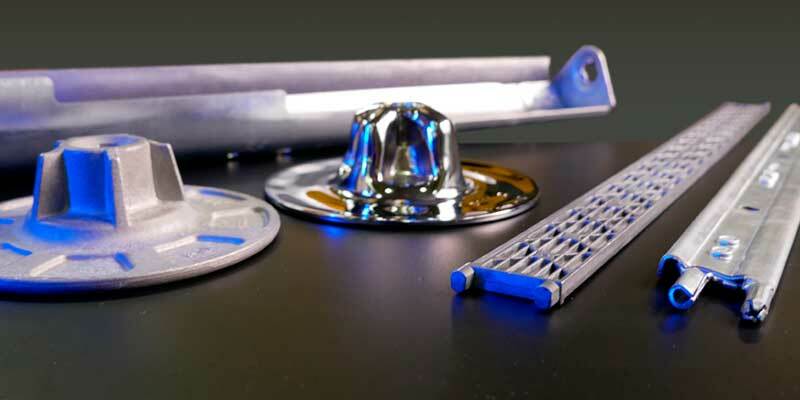 Our computerized process control, prototype capability and our on time delivery are reasons why Boehm Pressed Steel is the choice for precision automotive metal stampings and deep drawn parts. We've installed a state-of-the-art management information system, which will enable us to better serve our customers with accurate and responsive information. 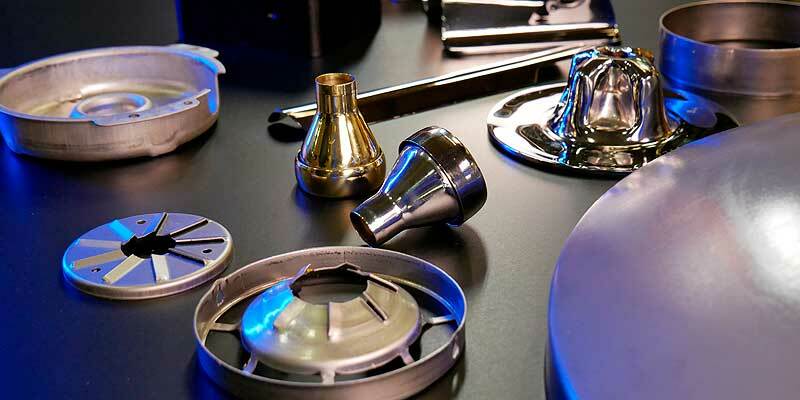 Prox Tooling is our low cost tooling program that allows you to only pay for the parts of the die that touches your part... we own the shoe. 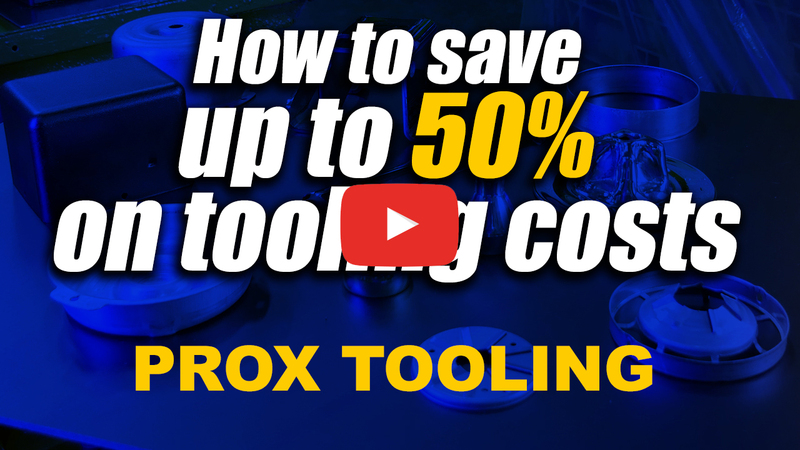 You save from 40-60% off traditional tooling costs. Patented Floating Die is our method of keeping extreme tolerance on concentricity on the cut off station of a progressive die press. 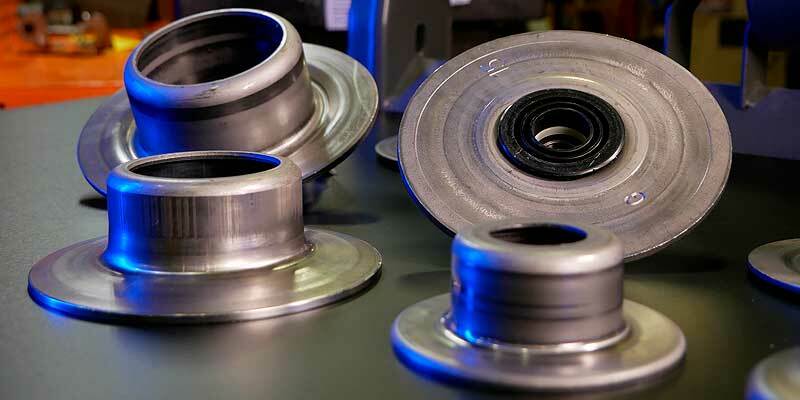 We invented this process for the mining industry roller inserts and have applied this high tolerance method to many other parts. This is our patented accuracy and automation. 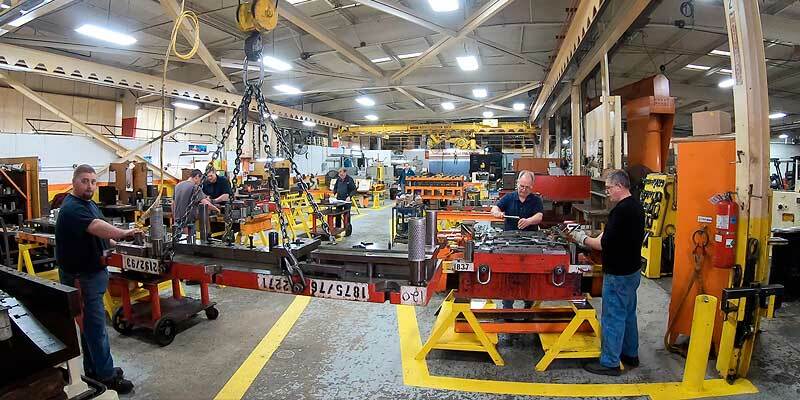 Large in-house design and tooling is our competitive edge. 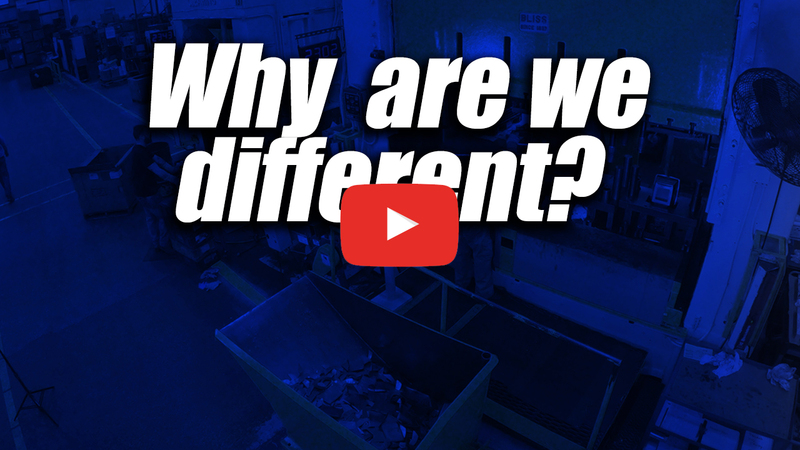 When we tackle a project, we look at every angle to create value added service for our customers. We will build unique tools, or even build a robotic cell that pumps out 14000 parts a month with lights out. You tell us what you need... we can do it. Huge Buying power Because we buy millions of pounds of raw materials, we have the pipeline to accommodate quick delivery of raw materials. 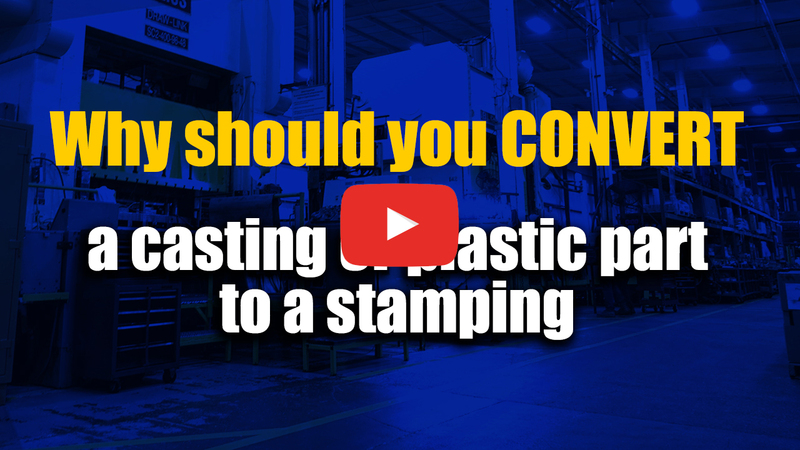 Single Hit or progressive die We have both types of presses so we can keep your costs low on simple parts while our progressive presses can handle just about anything you can throw at it.